Column-free interiors provide unobstructed space. 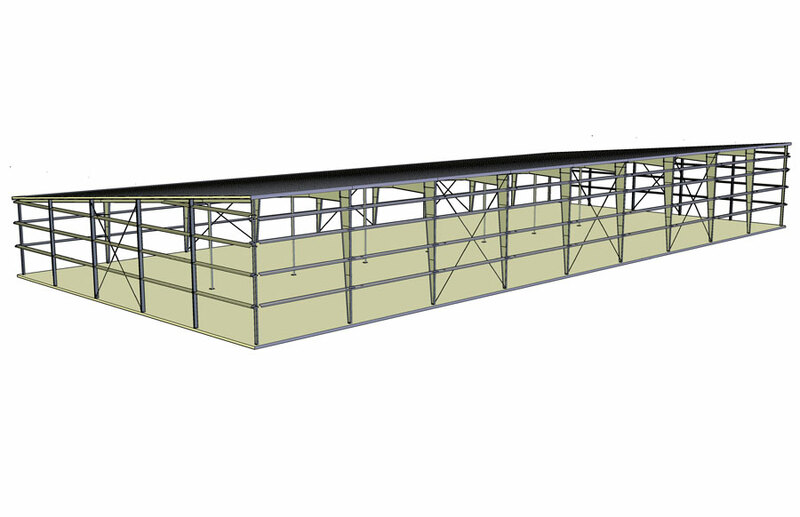 Ideal for equestrian arenas, sports arenas, aviation hangars, retail space, manufacturing facilities, and more. 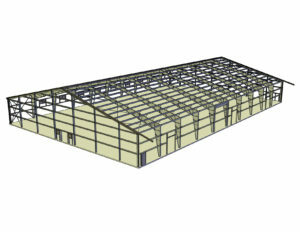 Interior columns may be added to maintain a cost-effective building solution. Due to design factors such as client requirements, building size, location, seismic activity, and other considerations. 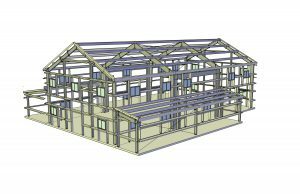 Lean-to frames can be used as an economical addition to an existing structure, or as a an expansion of a new design. These frames are single slope and are supported by attachment to an existing frame.